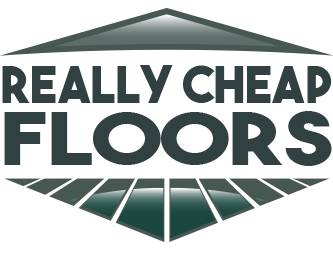 See for yourself why people love shopping with ReallyCheapFloors.com! Customer satisfaction is our top priority. We strive to make sure everyone who shops with us finds exactly what they need at an affordable price. Read our testimonials and see for yourself why customers love buying their flooring, rugs and more from ReallyCheapFloors.com. I just had to write to share my amazing experience with Reallycheapfloors.com. I was skeptical at first after seeing the prices of the flooring, so I ordered samples, a lot of samples! Cost for samples was extremely reasonable and I received them quickly. I highly recommend doing this, because, as you can imagine the color online differs from the actual color. After deciding between many samples, I chose a first quality handscraped hickory engineered floor, at a price less than 1/3 of even big box stores. We ordered 1100 square feet, and had it shipped to a trucking terminal in Michigan. The material arrived within 4 days. Cost to have it shipped was extremely fair and I can’t say enough about the quality of the flooring. We were blown away by the flooring! It is absolutely beautiful. We can’t believe how much we saved. I would highly recommend ordering from Reallycheapfloors.com. I did a 700 square foot floor renovation at my house and I wanted to do hardwood. Hardwood is so expensive these days, and I wanted to get something at a good price, install it myself, and be happy with the look at the final project price. At my previous house I got cabin grade red oak and was very happy with how it look after I installed it. I very often got compliments on how great it looked and how much people like the variation in the floor. I found ReallyCheapFloors.com and ordered 800 square feet of cabin grade red oak natural. The shipping was great, it was as expected, but it was hard carrying up 32 75 pound boxes to the second floor by myself, but I expected and new what I was getting into. For $2.19 a square foot, the wood was as I expected and looks absolutely beautiful now that I put it down. I saved thousands of thousands of dollars by buying from ReallyCheapFloors.com and installing it myself, and at the end of the day I’m way happier that I did it myself and didn’t pay someone else. Bottom line is, if you wanted the cheapest wood possible and are ok with rustic and cabin grade wood, you can’t beat ReallyCheapFloors.com. Their customer service is great and they even refunded me for a box that I received that was the wrong wood. If I ever have to buy wood again, I’m coming back to ReallyCheapFloors.com! My experience with this company was flawless. I ordered samples…twice. I had shopped at my local big box stores and flooring supply houses and I couldn’t believe the difference between the quality of those and RCF. ReallyCheapFloors products were really great and their prices beat anybody hands down, including the shipping costs. We ordered the 1/2″ Antique Oak, 5″ plank and it looks beautiful in our vacation home in Show Low, AZ. I am beyond happy and would buy here again. Checked it out online and then spent a day driving my truck and trailer to get enough flooring for my house. Great selection and great people helping me out. 8 hours of driving and only had to spend about half an hour or so at the store including loading. Saved well over $1000.00 I shopped around A LOT! Bought 1200 Sq. Feet of first quality hand scraped maple. It is absolutely gorgeous in the house and I have referred many people. Would by from again in a heartbeat. Leave us a testimonial of your own!